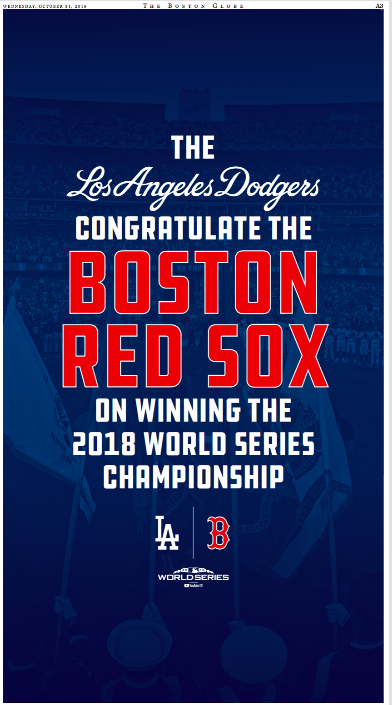 In an apparent attempt to demonstrate that they’re not sore losers, the LA ball team bought page 3 of today’s Boston Globe to run this ad. The sure loser? 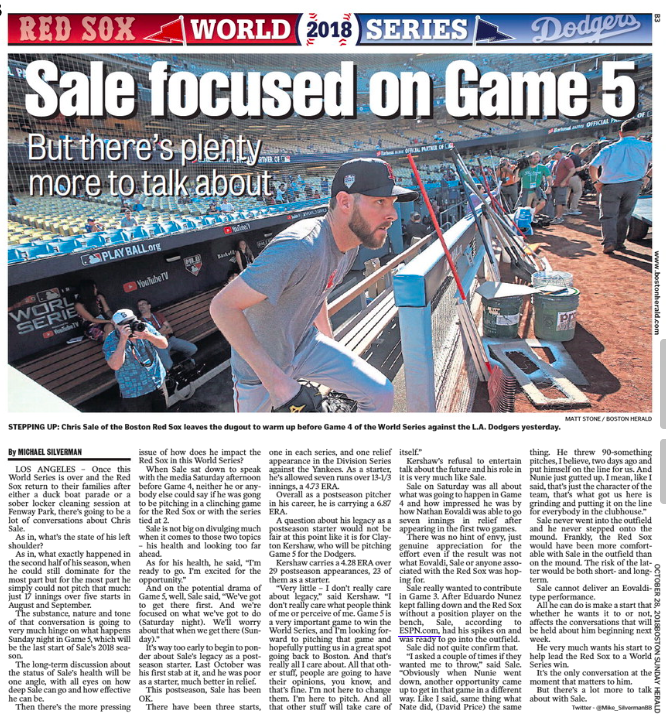 The Boston Herald. 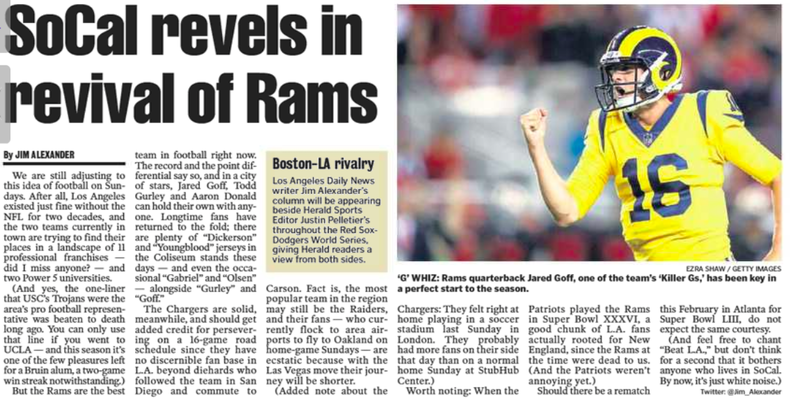 Dem Bums gave the thirsty local tabloid an intentional pass. 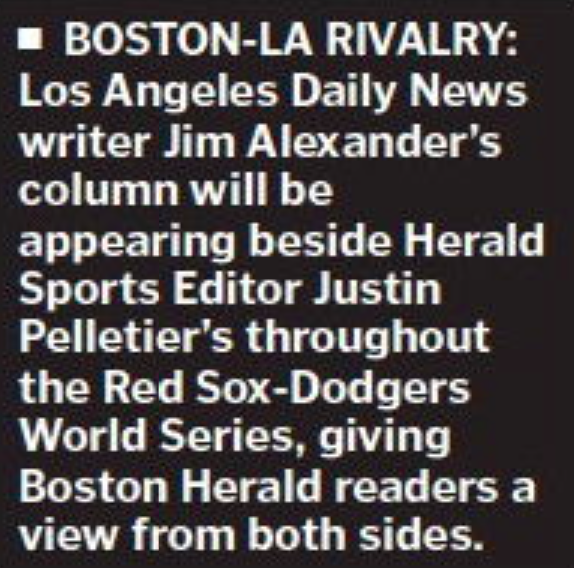 And it wasn’t just LA that gave the Herald the air. 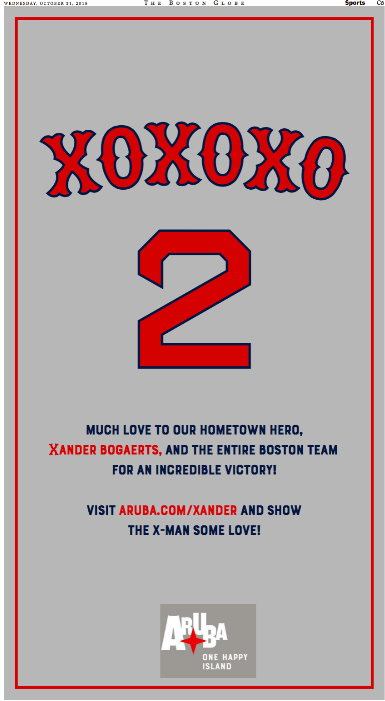 The island of Aruba also ran a Globe-only ad today. The tagline: One Happy Island. Just like One Happy Daily. Rising Democratic star Seth Moulton has been criss-crossing the country endorsing veterans for House seats, while double-crossing his Massachusetts constituents by refusing to debate his Sixth District challenger. 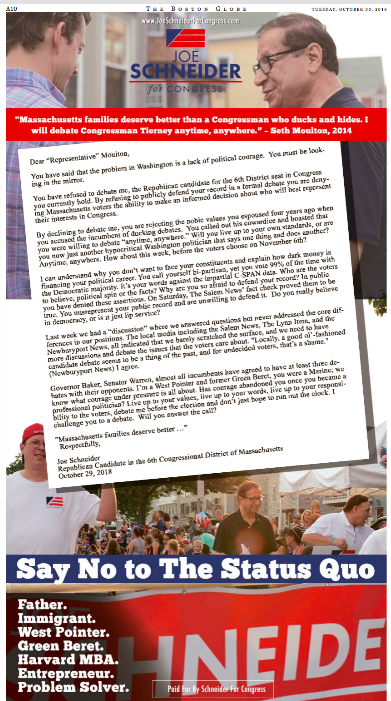 At least that’s the premise of Joe Schneider’s full-page ad in yesterday’s Boston Globe. Four years ago Moulton called out incumbent John Tierney for refusing to debate him in the 2014 Democratic primary. Now he’s the incumbent ducking debates. Let’s see if Moulton has a legit answer before November 6th. 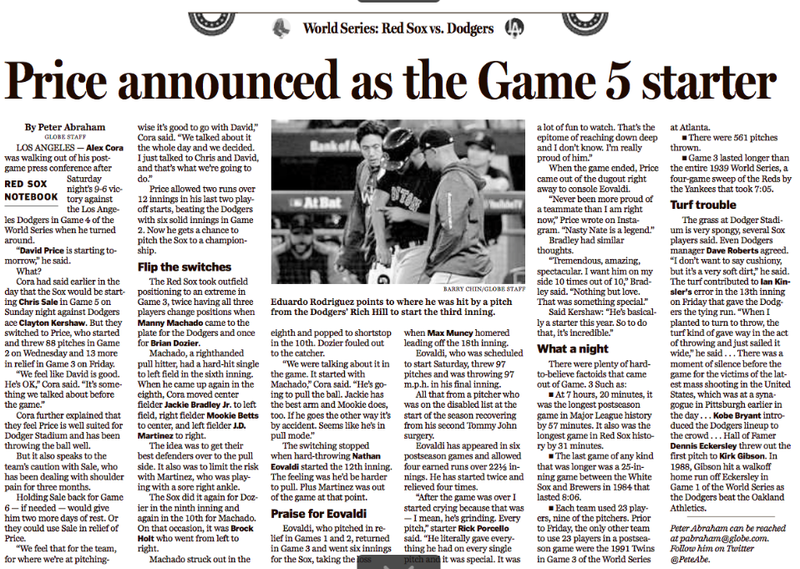 Said Michael Silverman piece ran on page 3. Except . . . this Peter Abraham piece is more like it. 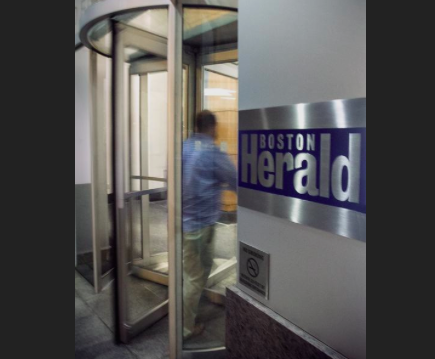 To be sure, the Herald got it all sorted out eventually, as the paper’s website and E-Edition indicate. 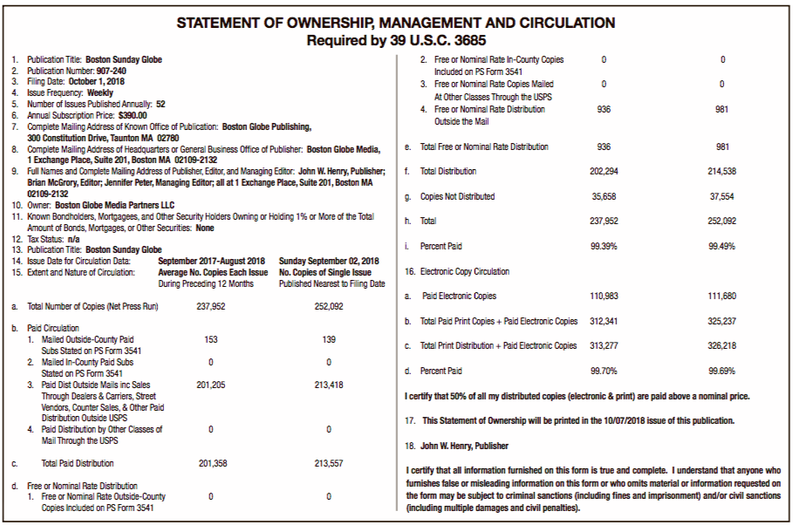 But that sure doesn’t help the lowly home subscriber, now does it? 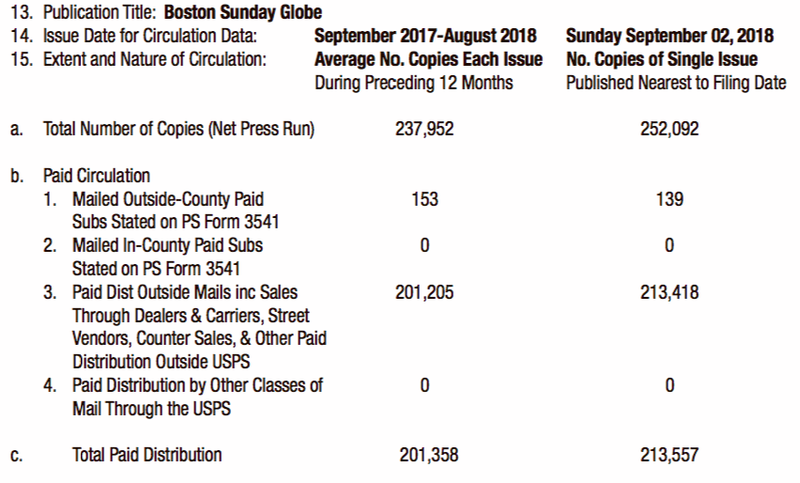 Well the hardreading staff was perusing the Sunday papers yesterday when we came across a startling sartorial item in the Boston Globe’s Names column, which actually recycled the story so we’ll reference Kevin Slane’s original piece on Boston.com. 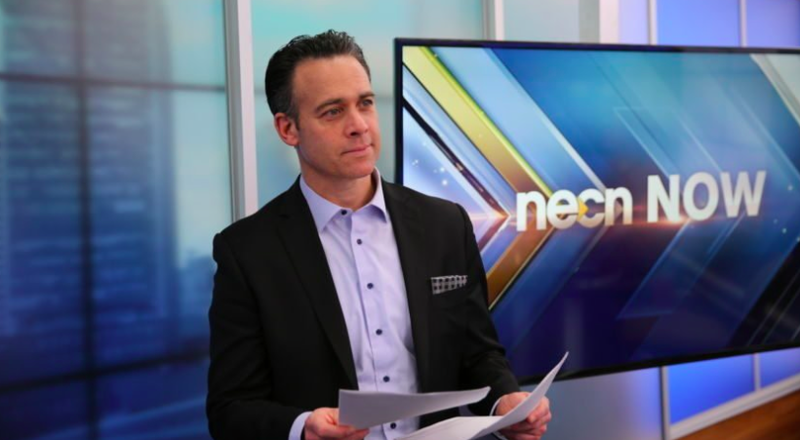 If you’ve been watching NECN recently, you may have noticed something missing. Male anchors in the studio have done away with the tie, a longtime staple of business attire. The new dress code, implemented by NECN news director Ben Dobson, officially went into effect last week. Other NBC-owned stations in the region, including NBC10 Boston and Telemundo, plan to adopt the tie-less look, too. Seriously? So maybe doctors should wear jeans and Patriots jerseys? Or lawyers could wear Lululemon to court? What the hell. Back in the 1920s and ’30s, the BBC made radio announcers wear dinner jackets. In the U.S. at that time, announcers and performers wore tuxedos and gowns. It was a sign of respect for the listeners, even though they couldn’t see the broadcasters. Except it’s more than just a necktie. At least to some of us old fogies. 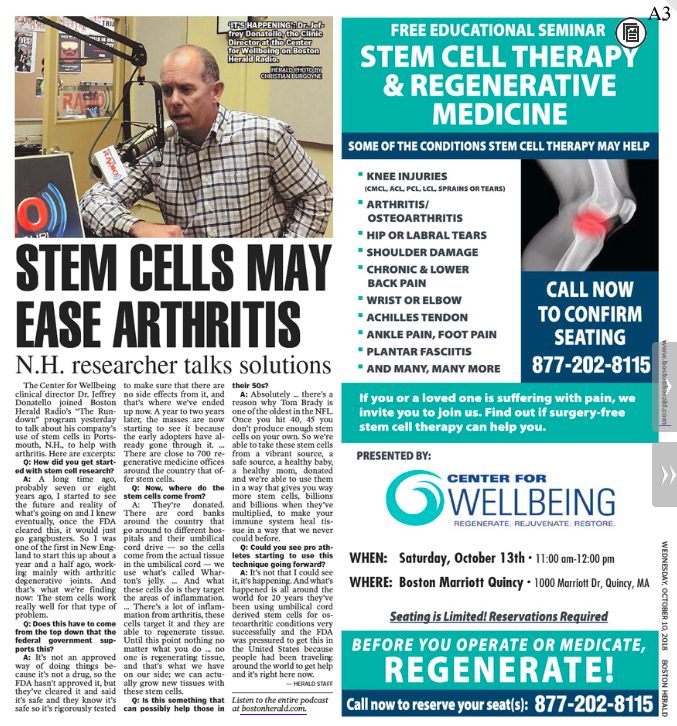 You are currently browsing the It's Good to Live in a Two-Daily Town blog archives for October, 2018.